Holy Mole’! CaJohn’s Got Me Enchanted! 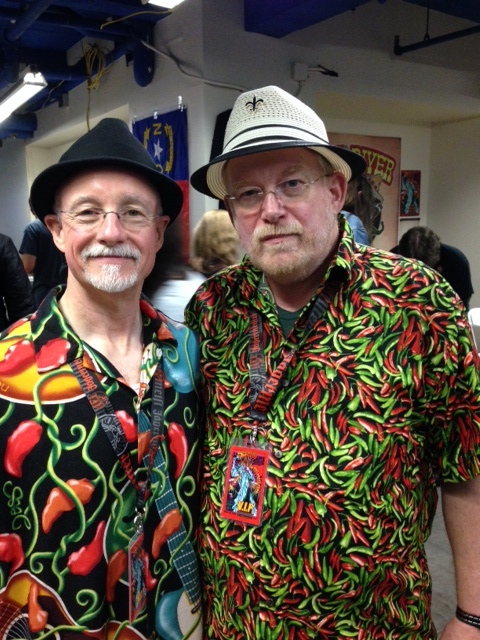 At this spring’s New York City Hot Sauce Expo, John Hard (aka CaJohn) came up to me and said, Ken, I have a new sauce I want you to try. I think you’re gonna like it! Well, I don’t know if there’s been a creation from CaJohn’s Flavor & Fire that I didn’t like, so it was a safe bet. But I didn’t expect to be enchanted!!!! Okay, so I’m making a little play on words here. 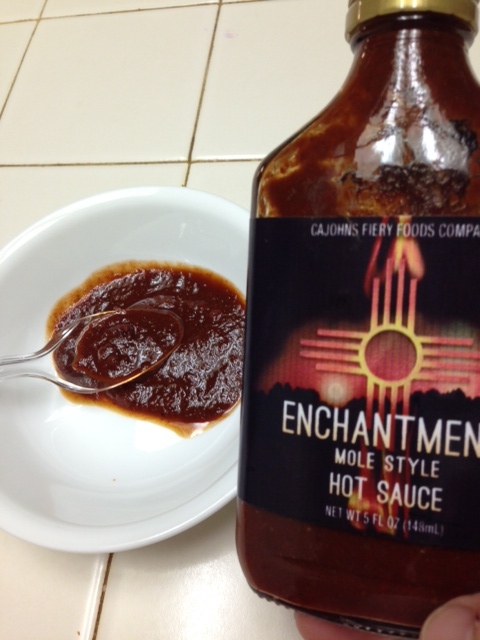 If you’ve looked at the picture, you know I’m referring to Enchantment, a mole’ style sauce and one of CaJohn’s most recent culinary creations! 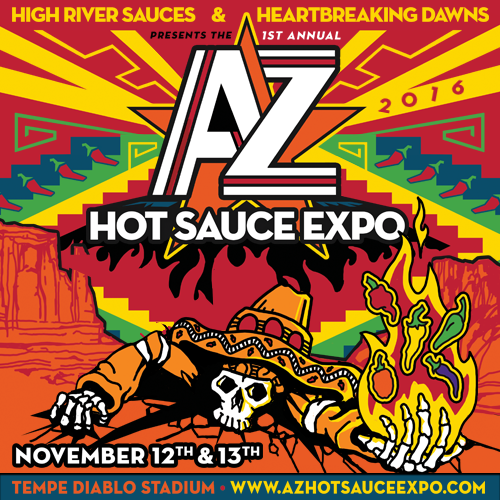 I’ve had this sauce since the week after the show (thanks to Sue Hard, who graciously boxed up and shipped my hot sauce booty for me, since it’s kind of hard to take 40 bottles of sauce and products through as a carry on!) and it has become one of my go to sauces for anything Mexican or Latin, or anything I want to highlight with the flavor or Old Mexico! If you know CaJohn and Sue, you know they love New Mexico, and they pay homage to their affection in the label write up of the sauce. They reference their enchantment with the state (get it? Nice word play, CaJohn!) and wanted a sauce that created a fusion of North American Indian, Spanish Mission, Mayan, and Chuck Wagon styles in the tradition of the old Mexico Mole Poblano sauce made famous in the mountain city of Puebla, Mexico (there’s some controversy about the origin of mole sauce, but I’ve been to Puebla, and those folks are pretty darn convincing!). A traditional mole sauce has a pile of stuff in it, from various roasted nuts, to dried bread and fruit, and a finishing of dark chocolate, and cooks for hours and hours. This sauce celebrates that richness, but uses a different flavor and ingredient profile. 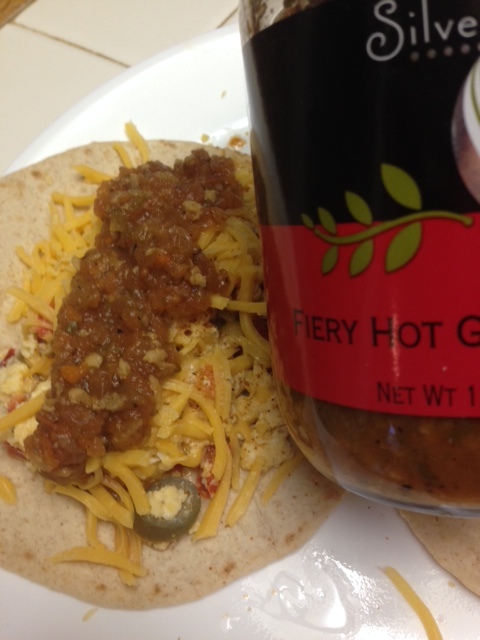 Enchantment uses several different peppers: New Mexican chile, Ancho, Guajillo, Chile de Arbol, and Pequin. Add in distilled and cider vinegar, garlic, agave nectar, cumin, salt and oregano, and you have a dark, rich, complex sauce that masterfully layers its flavors and it’s oh so subtle heat. This is not a hot sauce to me. 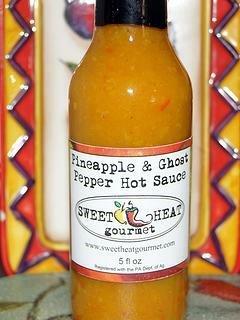 It is a finishing sauce for meat, or a base to slow cook and simmer pork, chicken, or beef. And it took my Spanish omelet to a whole new level! If I have any suggestions for CaJohn based on my using it these past few months, is that my batch is really thick and doesn’t always want to easily pour out of its flask style bottle. But that is a small issue, and after all, a mole is supposed to be thick. Another thing I learned while playing with it is that it doesn’t always play well with others, and mixing it with other powders, spices, rubs, etc. could alter the flavor profile enough to mess things up. So for those that like to use multiple sauces, powders, rubs, etc. in your dishes, don’t be surprised if you’re not thrilled with your results. In other words, make your life easy and don’t use anything else- it’s not necessary. 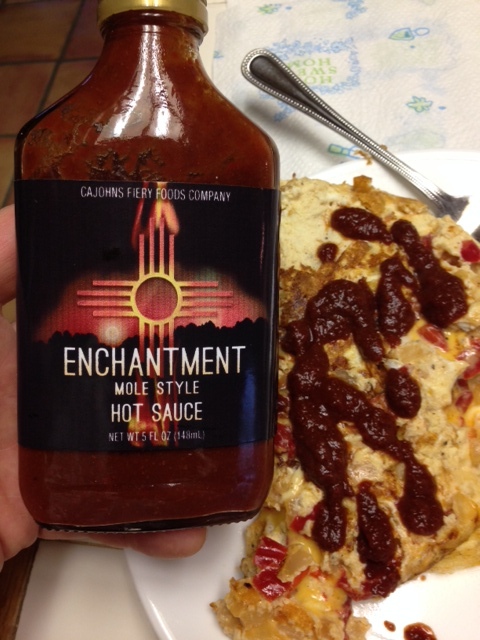 Enchantment adds a new dimension to a Spanish Omelet! Now I’m sure there are those of you that are much more skilled in the kitchen than yours truly, and can use it with other spices and products, but I appreciated the stupid proofness that Enchantment gave me. And like I said, while it’s not a true mole sauce (CaJohn will be the first to tell you that it’s a mole “inspired” sauce), the deep, earthy tones of the Arbol chile, combined with the mildly acidic guajillo and New Mexican, the sweetness of the ancho (I think they’re sweet, anyway! ), and the playful heat of the pequin combine in masterful fashion to provide my taste buds and smell buds (do we even have smell buds? Remind me to look that up!) with a trip to old Mexico! Extra! Extra! Silverleaf International Halts Vampire Invasion! Okay, not really, but they could stop a Vampire invasion! 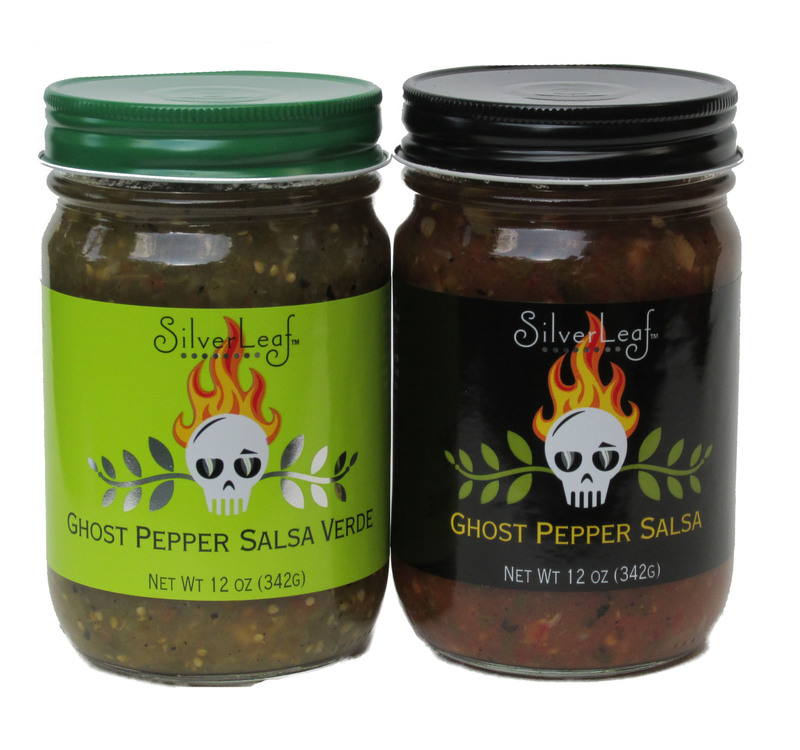 Silverleaf International, the Missouri City, Texas based company owned by Neal and Adriane McWeeney, is home to some of the best gourmet salsas, olive oil, jellies, and marinated garlic on the planet. I’m telling you, folks! This is vampire stopping good garlic! I’m talking garlic so good that even Edward Cullen and Count Dracula couldn’t resist! Plus, when you factor in the whole silver leaf thing, those guys don’t stand a chance (Get it? Vampires…silver…silver can kill a vampire….ok, fine…. I thought it was clever..)! Silver? leaf? What’s that got to do with anything, you ask? Well, maybe you didn’t ask, but I’m gonna tell you anyway. When I was visiting with Neal and Adriane in New Orleans, I learned a little about the back-story of their company. They had gone to Italy on vacation some years ago, and while walking in a monastery olive orchard one morning (sounds like a cool vampire movie setting, doesn’t it? Just sayin’! ), they loved the shimmering silver hue of the olive tree leaves. That’s right, the same olives that you buy at the store, or press for oil have cool silvery, shimmery leaves. When they were ready to start their business, the memory of those shimmering olive leaves reappeared, Silverleaf International was born, and the rest is history! So if you’re like me and get a little twitchy watching all those vampire flicks (I’m really not a monster movie kind of guy), and need some protection, Silverleaf’s wide selection of marinated garlic simply blows me away! If you go to their website, you’ll see there’s a flavor profile for everyone, from Mediterranean, to sweet bread and butter, to chipotle, and more. I love the bread and butter garlic and the ghost pepper garlic. If you’re not familiar with a ghost pepper, it reminds me of a bell pepper on steroids, so the sweet pepper flavor combined with its substantial heat marry beautifully with the garlic’s savory notes. Smashed onto a piece of bread, added to any dish, or simply munched as a snack, the ghost pepper garlic will brighten your day, bring a mild (or wild) sweat to your brow, and a big smile on your face. Unless you’re a vampire, in which case you’d pretty much be hosed. 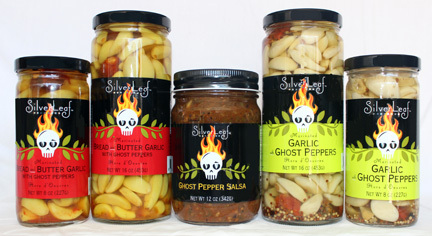 A broad variety of Ghost Pepper Infused Products! 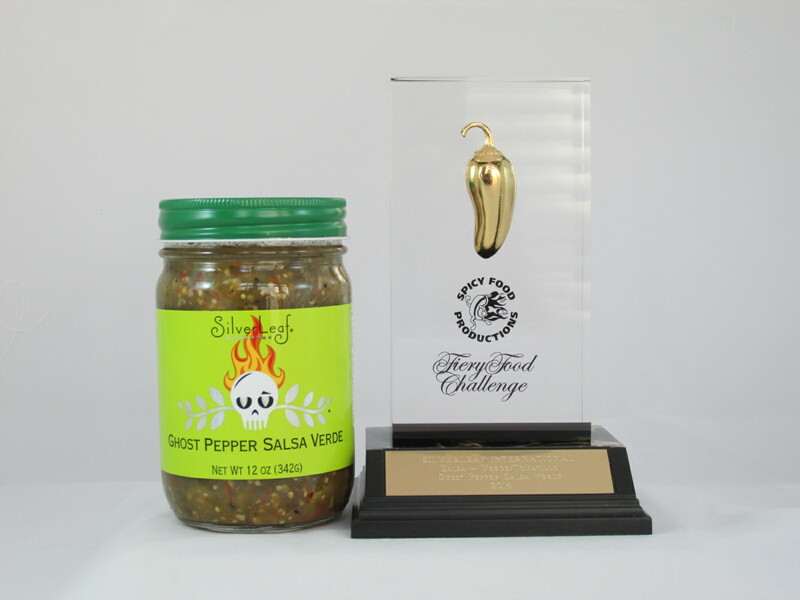 So check out Silverleaf International’s great selection of gourmet quality products. I’ll give everything I’ve tried to date (several types of garlic, all of their salsas, an awesome peach jelly, and their ghost pepper infused olive oil) a minimum of 4 Fiery Worlds! 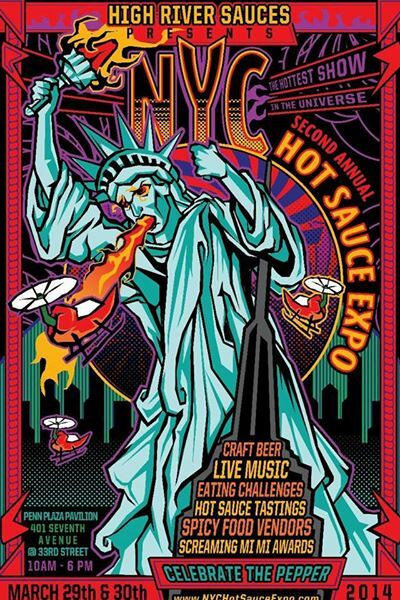 They will be at the New York City Hot Sauce Expo March 29 & 30, 2014, so if headed to the expo, definitely make their booth a must visit! For the rest of the world, check out their website, pick up some garlic for your next vampire slaying expedition, and tell ‘em I sent you! Why? Because, Ladies and Gentlemen, It’s a Fiery World! No Foo Foolin’! High River Sauces Heats Up the Reaper Scene! 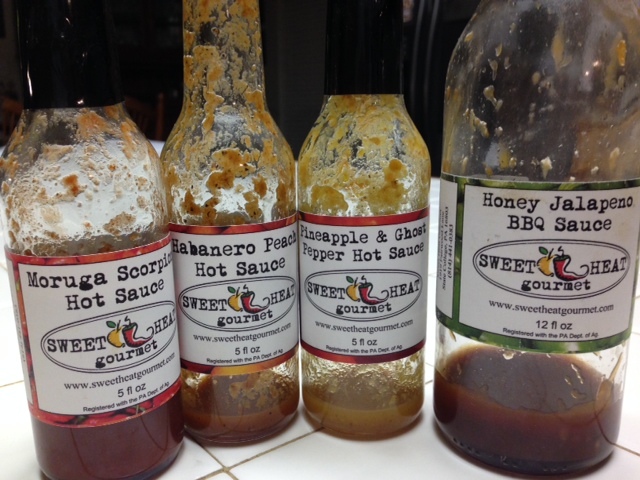 When I tell you that Steve and Lisa Seabury’s High River Sauces is heatin’ up the New York skyline, I’m not kidding! Their newest creation, Foo Foo Mama Choo, is made from the latest pepper to be recognized as the hottest on the planet by Guinness World Records- Smokin’ Ed’s Carolina Reaper! The “Reaper” clocks in at an average of more than 1.5 Million (yes, Million with a capital M!) Scovilles! 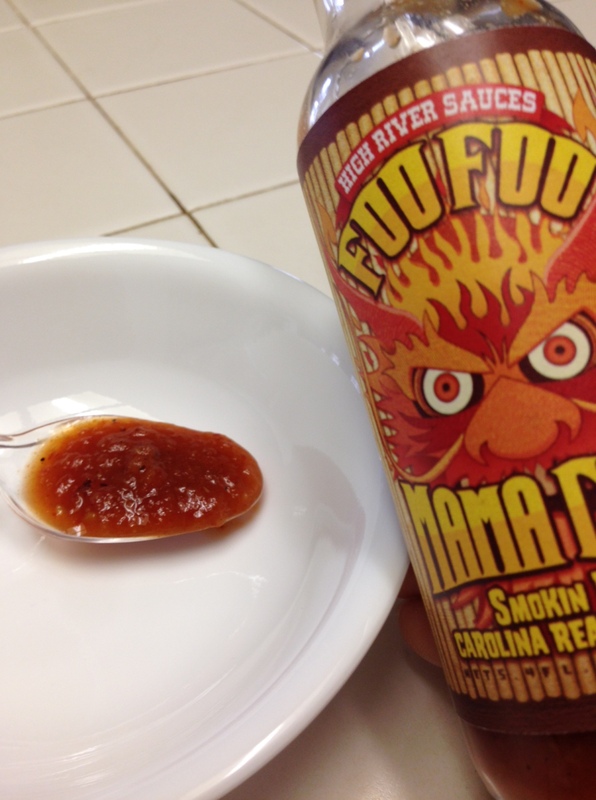 So it takes a lot to make a sauce that celebrates the sweetness of the Carolina Reaper while acknowledging the “Kung Foo Foo Fighting” nature of it’s heat! And that’s exactly what Foo Foo Mama Choo does! For those not familiar with High River Sauces, the sauce company was born a few short years ago with the release of Hellacious, a great sauce with a rich flavor that travelled the heavy metal circuit with Steve. After adding the likes of Tears of the Sun, Rogue, and Grapes of Wrath, this latest offering does not disappoint. I absolutely love Foo Foo Mama Choo’s label! Just like the sauce, it’s simple and complex, from the name to the logo of the fired up dragon out to save the princess! I know..I know!! Dragon? Fire? Princess? What’s up with that? I’ll tell you in a second….But back to the label- great graphics, easy to identify on a shelf, and fun! High River has won awards for their label graphics and marketing, and with good reason! The label makes a great marquis for the concert of flavor inside. 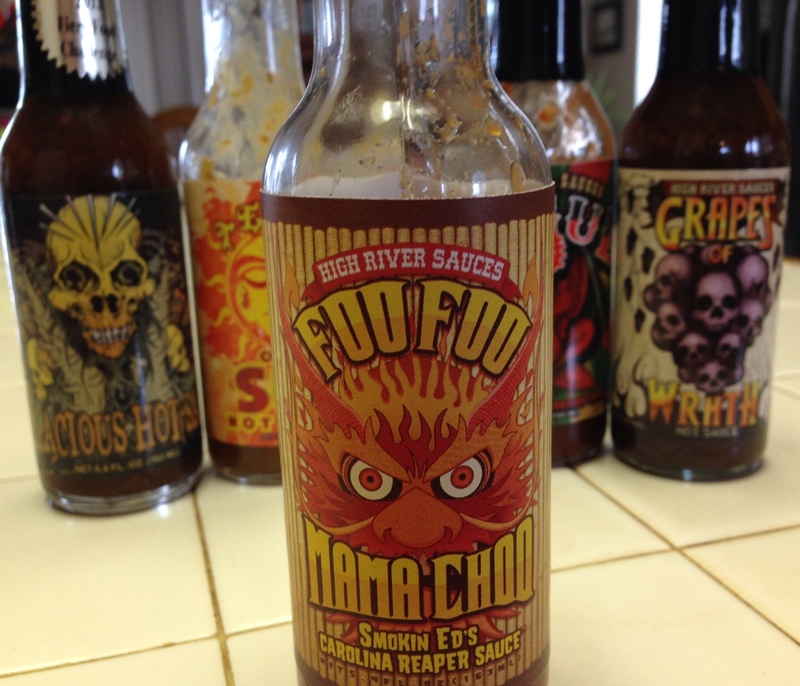 Foo Foo Mama Choo is a complex sauce. But it comes off simple. The label says it’s a little Asian, a little Southern Country, but I say it’s a lot unique. The natural blending of new flavors with favorite ingredients creates a veritable concert of smooth flavor. Kinda like when Jimmy Page and John Paul Jones played with the Foo Fighters in 2008 at Wembley (get it? Foo Fighters? Foo Foo Mama Choo?! Ok, fine….never mind..). Complex notes of “secret spices”, ginger, reaper pepper, roasted red peppers, and soy sauce, along with the more simple harmony of roasted tomato, onion and garlic come together nicely thanks to the backup band of rice wine vinegar, brown sugar, and white pepper. And did I mention it’s HOT!? The Carolina Reaper, with it’s world record heat, packs a big punch. But it is a sweet pepper, with a great citrusy note, and High River has managed to layer it, control it, and deliver it with the finesse of a fine sound board engineer! Yessir, ladies and gentlemen, just like the music legends I mentioned, Foo Foo Mama Choo masters its sound and harnesses the raw energy of the world’s hottest pepper in unique and memorable fashion. So, to sum it all up, Foo Foo Mama Choo comes in with a 5 Fiery World rating! My highest, and rarest, score! It’s really that good, folks. This is a sauce that creates a fire breathing, high flying dragon that rises up, brings serious heat, and saves the Princess from the evil Witch! I know…I told you earlier that I’d explain. Steve and Lisa’s daughter created the inspiration for the sauce when she tried to cast a spell to turn Steve into a dragon to save the princess from the evil Witch. But, instead of Bippity Boppity Boo, she came out with Foo Foo Mama Choo – and history was made! Foo Foo Mama Choo makes it public debut on February 28, 2014. 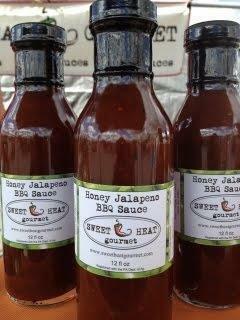 Do yourself a favor, and go to High River Sauce’s website and order some. It can also be found at iBurn.com and at Peppers.com. Order more than one- trust me on this one! Why, you ask?! Because, Ladies and Gentlemen, It’s a Fiery World!